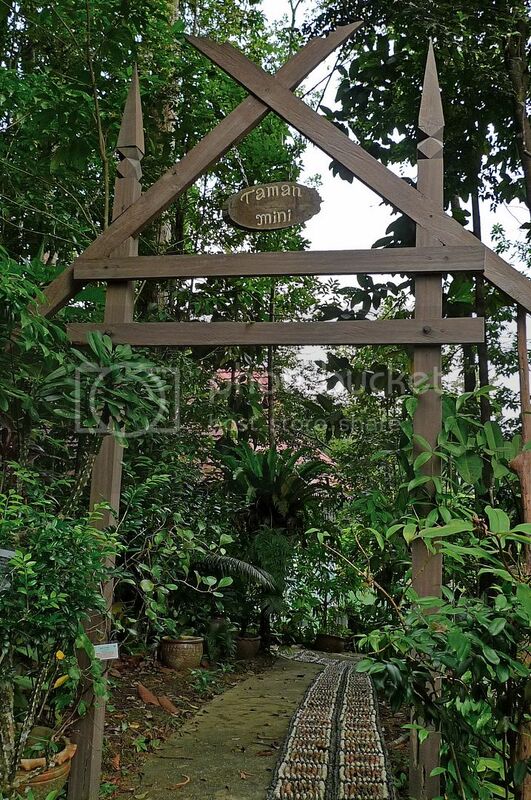 From the jetty, we could see a signboard welcoming us to Herbal Garden. Following our tour guide, we ascended a series of steps to enter the garden. From up here, I took a photo of the jetty below. 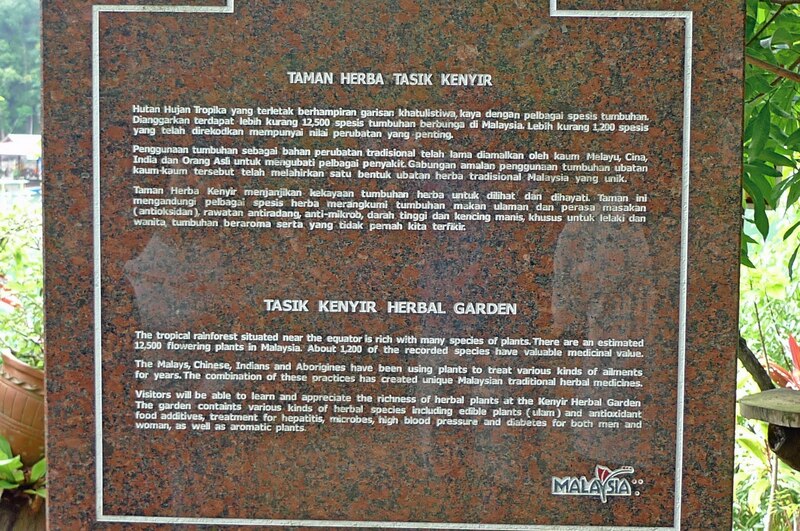 This is the information board on the Herbal Garden. You can click on it to enlarge for easier reading. I saw a nice looking tractor and took a picture of it. There was a Japanese couple who did not understand the tour guide's explanation in Bahasa Malaysia, so the tour guide requested my friend to do the translation in English while he explained. I did not follow the tour guide and the group and wandered off on my own. 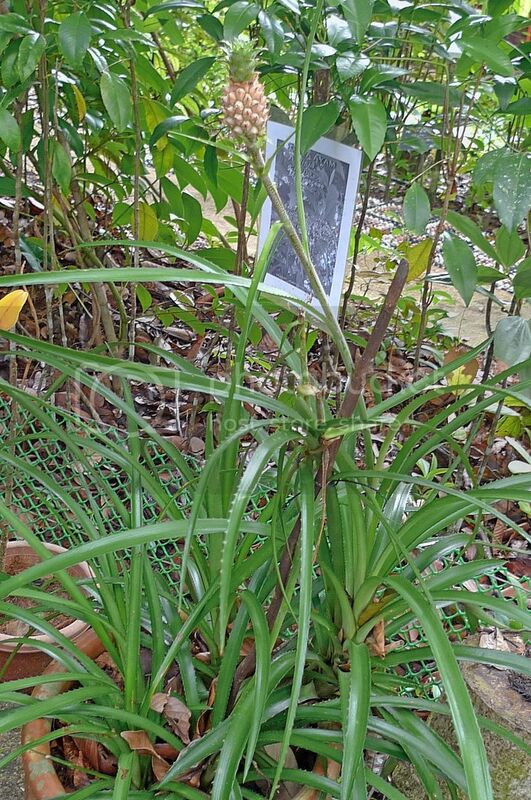 Do you know what is this plant? 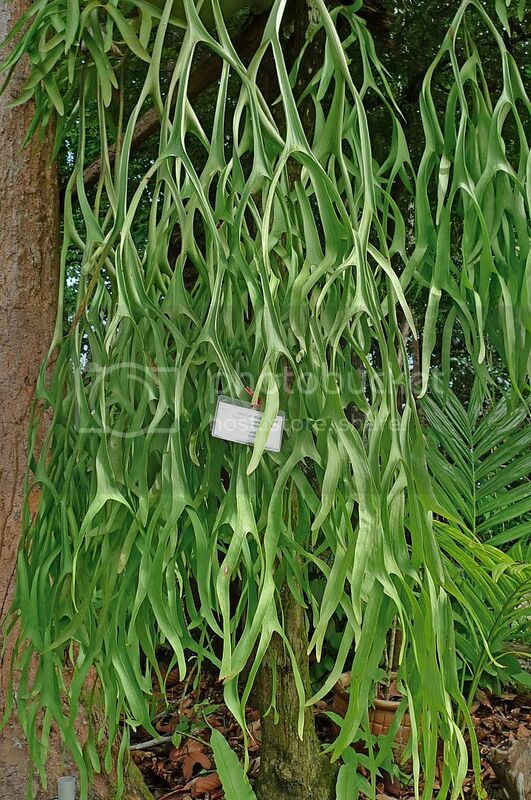 It's called tanduk rusa (or Staghorn Fern). I am not sure what health benefits one can get from eating this plant but I think it has something to do with sexual prowess. 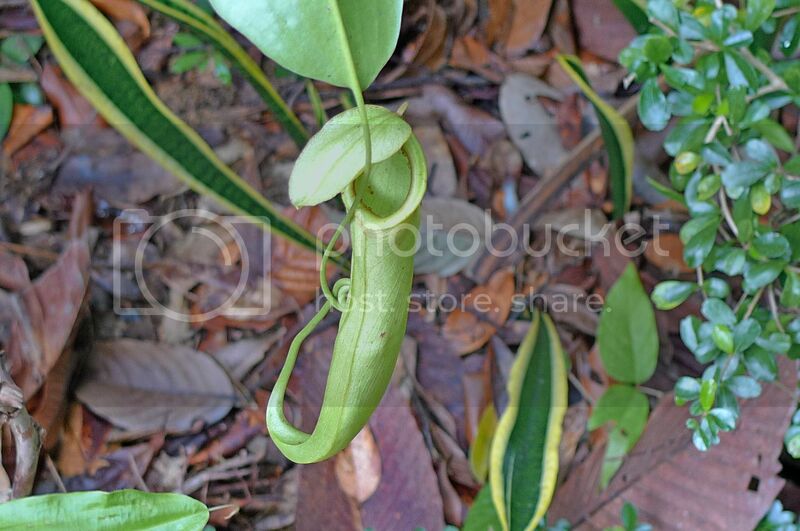 Yes, it's a periuk kera (or pitcher plant)! It is said that this pitcher plant can help in hair growth, used as a treatment for diarrhea and high blood pressure. 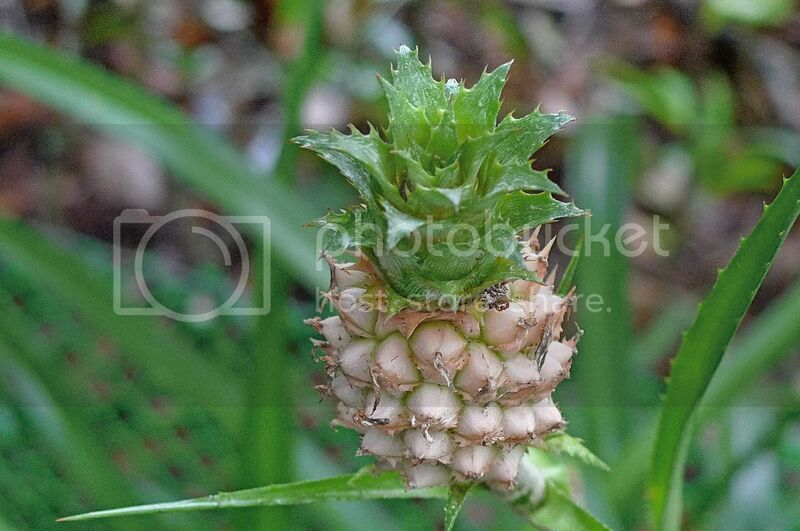 Does this look like a mini pineapple to you? Let me magnify the fruit! Yes, it is indeed a pineapple! And what about this flower? 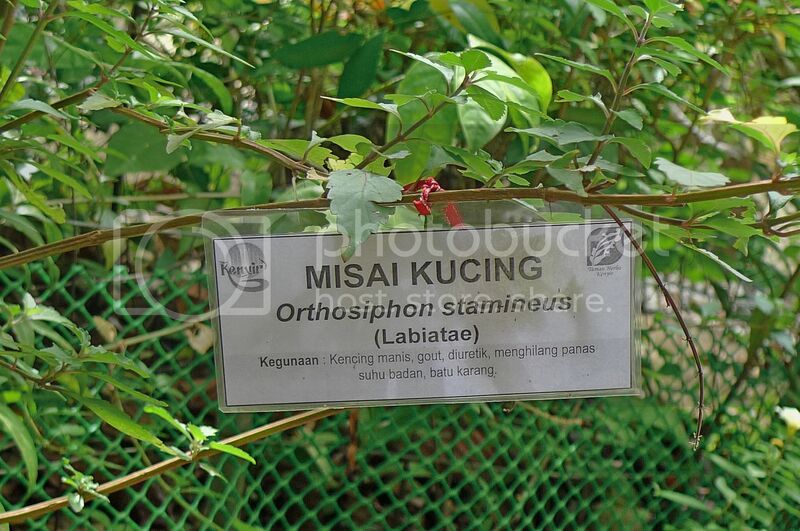 It's the flower of the well known herb called misai kucing. I'm not sure of its English name but here's the botanical name. 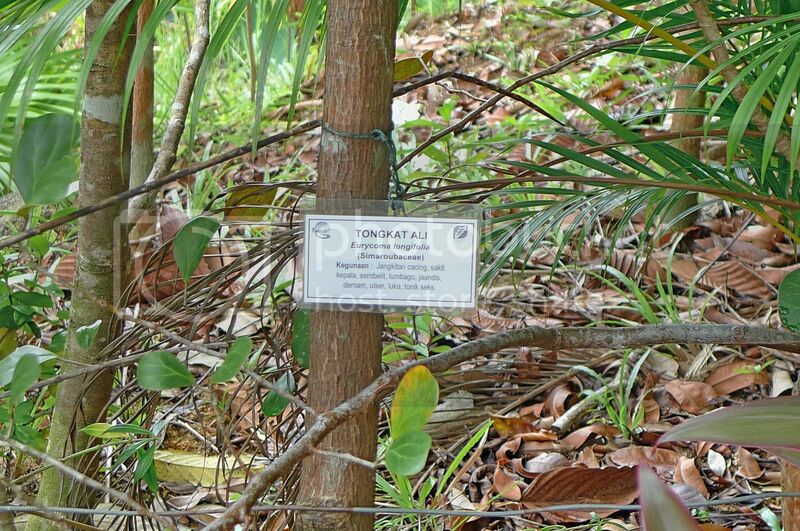 Misai kucing is useful for the treatment of diabetes, gout and arthritis. 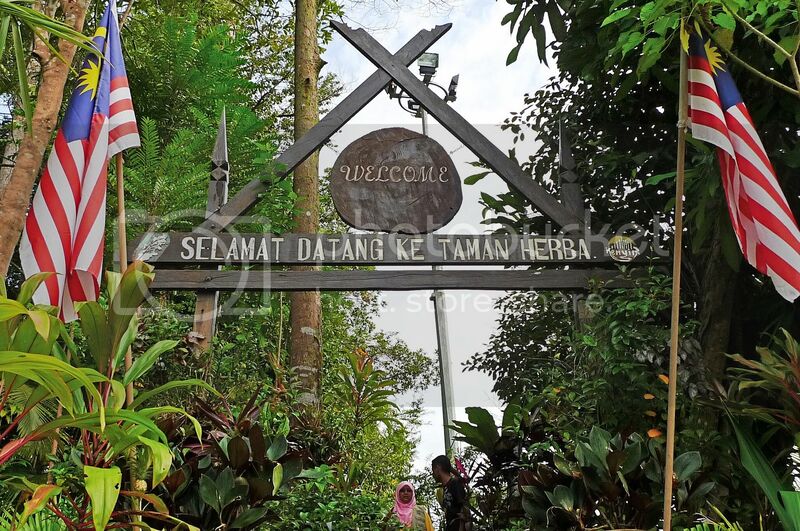 I did not take a proper photo of tongkat ali but I got to drink it at this herbal garden! 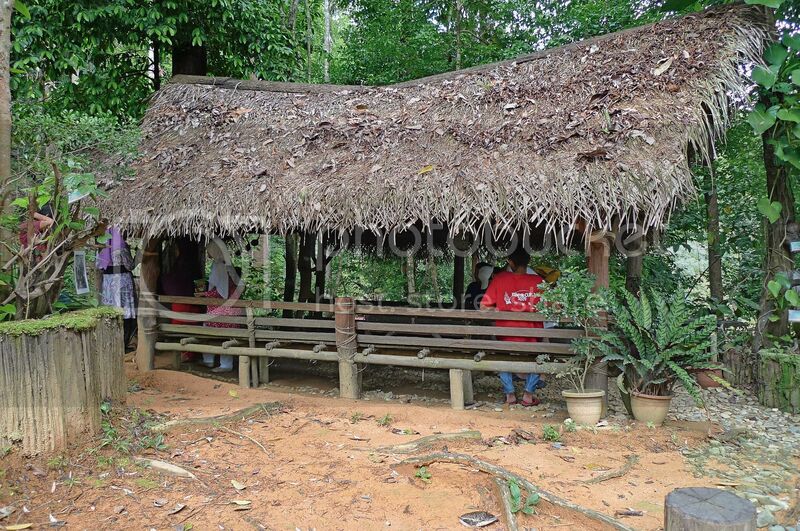 I reached this wooden hut and found that the rest of the group including my friend were already there. 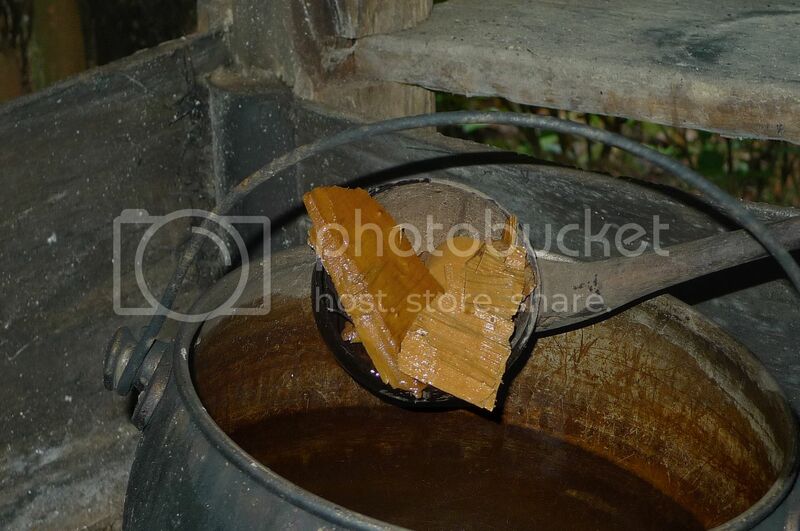 My friend quickly beckoned me to step inside the hut for a herbal drink! But I could not resist snapping a couple of photos first. Haha! 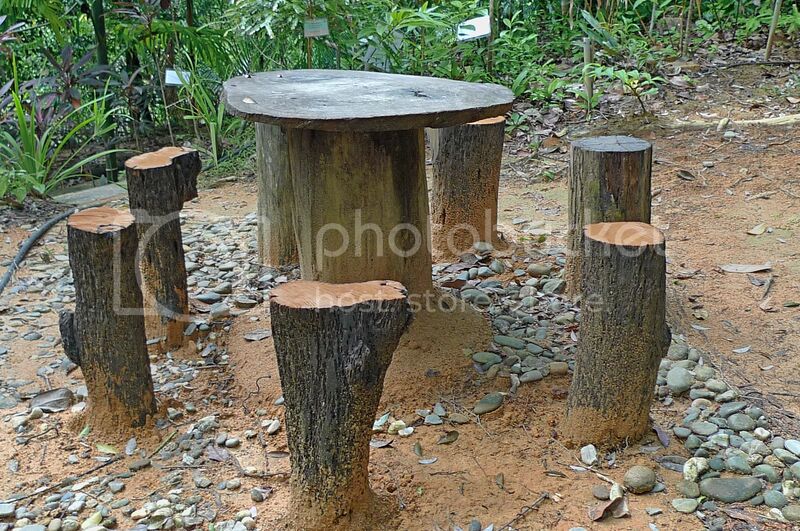 Inside the hut, I saw two pots. If I am not mistaken, one contained tongkat ali. I could not remember what was in the other pot. Anyone knows what this is? 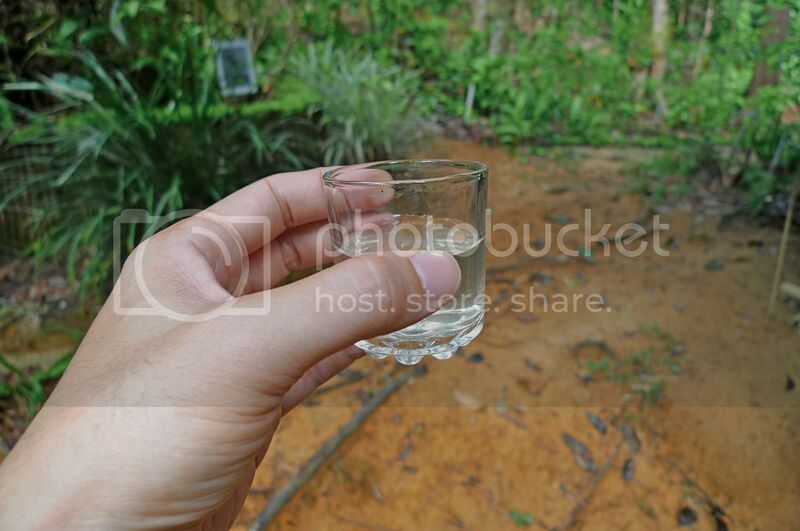 I was given a small glass of tongkat ali to drink. As tongkat ali is useful for increasing testosterone production which indirectly prevents impotence, and strengthen sexual performance, I did not hesitate to drink it! Haha! After that, we continued to walk around the garden. 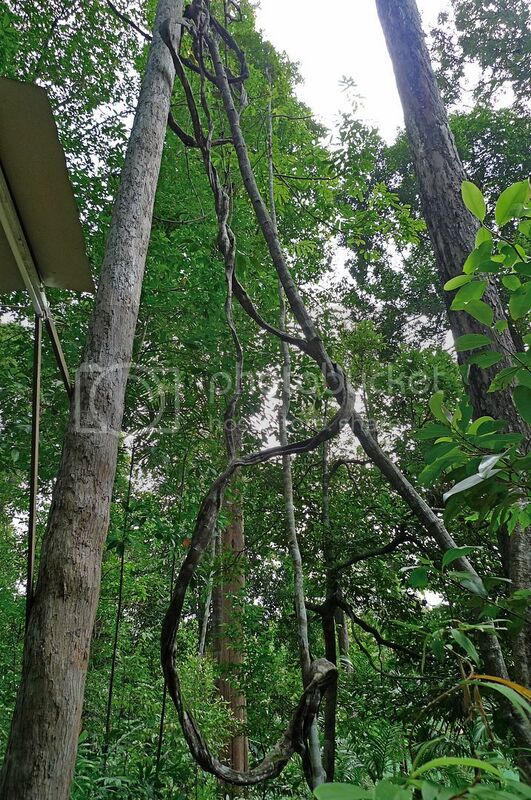 Look at the "rope-like" branches on this tree! I came across a mini garden inside this Herbal Garden. It had nice walking paths all over the place. There was also an Arboretum Garden here. But I did not take many photos here as time was limited. The tour guide was calling us to return to the jetty. I was the last to reach the jetty as I was busy snapping away. 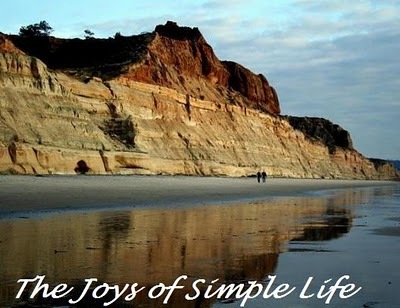 Can't blame me, can you, especially when you see beautiful scenery like these! Please click for wallpaper size! Coming up next : A Refreshing Time At Saok Waterfalls! wah, really got a lot of interesting plants in there!! all look very unique and special..
hehehe, so how many cups of tongkat ali have you drunk?? and oh, tongkat ali is colorless?? i thot it's like some brownish color..
so how's the performance after you drank Tongkat Ali? That's why English is so damn important. You see. :D Thank goodness your friend and you were there to help the japanese couple. Aww...the wooden hut looks so cosy. I think I can take a nap in it. :p So what herbal drinks were you served? the nenas so small keh? can eat one ar? Tongkat ali? I dun need tat!!!!!! Felt any different after the drink Foong? 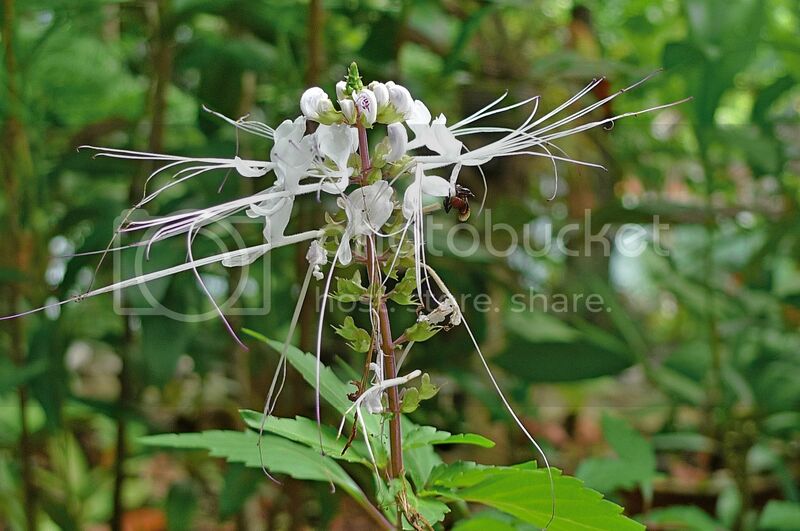 English name for misai kucing is cat whiskers. Got nose bleed after drinkinng tongkat ali? How's the taste? bitter sweet tasteless? Yeah me too thought it should be colored.haha. Tongkat ali is an aphrodisiac.. and you drink one... haha how does it feel? i wanted to visit this place..... someday!! 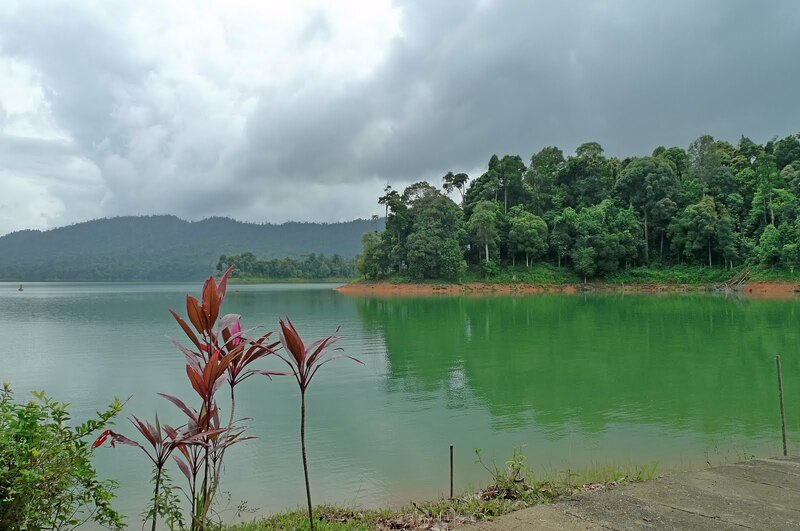 beautiful pictures of the lake..
Did you try out after you took tongkat ali? Did the Japanese lady try tongkat ali? How do u feel after drinking tongkat ali? Nice photo you got here and you wandered alone in your trip. I also do that so I could explore the palce I am visiting better. Tongkat Ali plant - I was rather disappointed by how it looks when I first saw it at the KL Bird Park. So ordinary looking. If looks are deceiving, this plant is it but it's supposed to pack a punch, eh? Any effect or not after you drank that potion/drink? hehe.. Thanks for the tour, Foong. SK, only drank 1 cup. Not much effect after 1 cup! LOL! 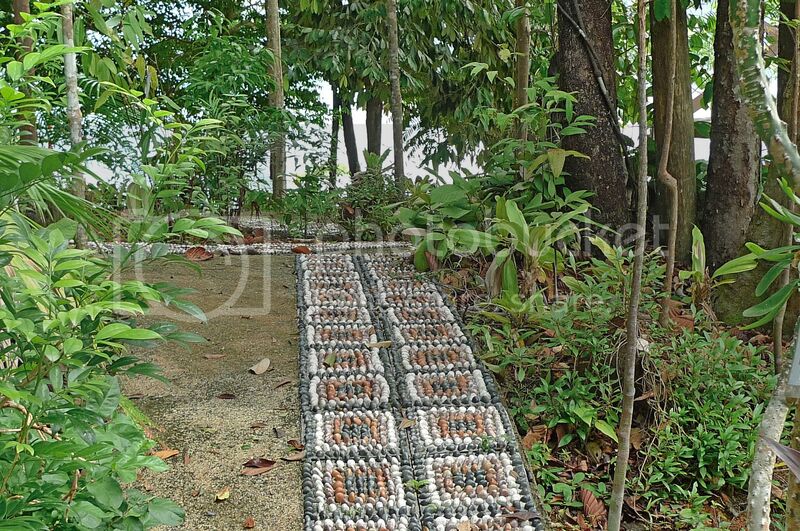 No, I did not take off my shoes to walk on that stones path cos too busy taking photos of the plants! Haha! 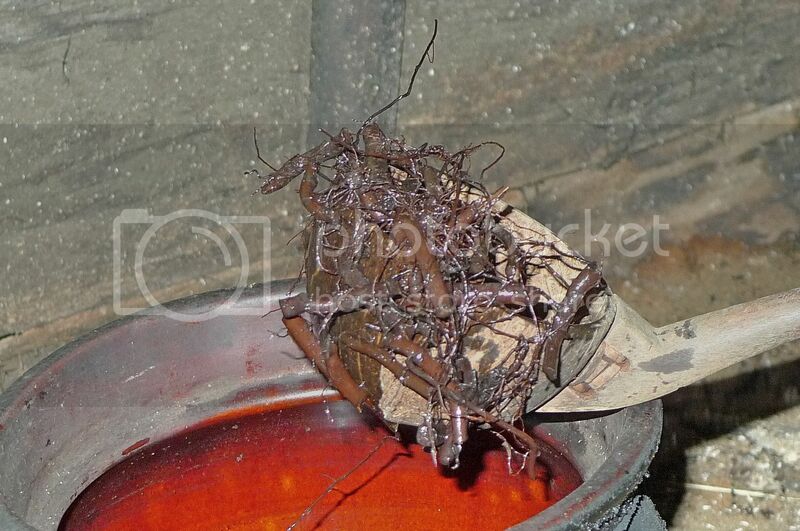 iamthewitch, I also didn't know - I think it's not really clear liquid - probably it appeared like that from the photo! It tasted OK, not bitter or anything. No difference after that cos only 1 cup - not enough to make any difference! Haha! TZ, no difference cos 1 cup not enough for me. Haha!! tekkaus, you must have missed it - go read Part 1! 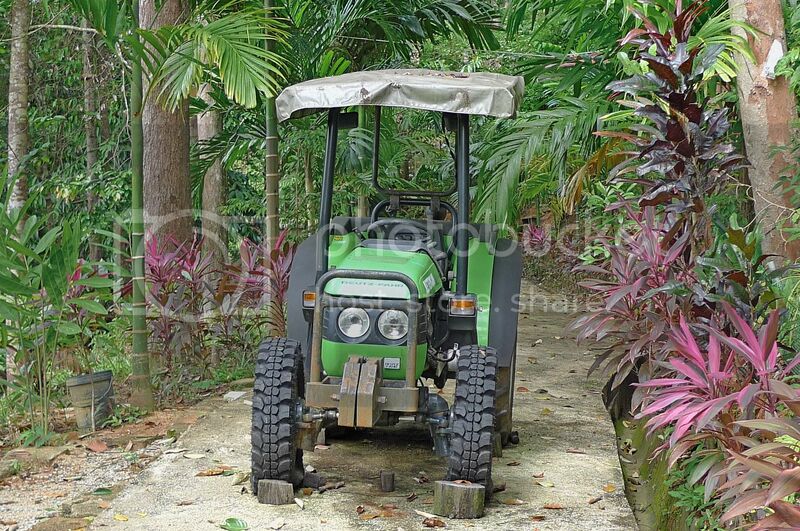 Not sure about the tractor - yes, it's quite new. Yeah, English is important especially when we are dealing with tourists from Western countries! I think the pitcher plant has not shrinked - this type is different from the ones you normally see. No difference after drinking that tongkat ali - probably too little! And definitely no pictures to show you! LOL!! manglish, that's why at first I thought it is not a nenas! Can eat after it grows big lah haha! kelvin, I am sure you need tongkat ali! LOL! lina, nothing "wake up" after that cos nothing to stimulate. LOL!! bananaz, yeah cat's whiskers haha! bluedreamer27, I would have preferred to enter Jurassic Park! Haha! That's just a small pitcher plant - won't eat you! LOL! So you have misai kucing in Philippines too? Good! So go make your own misai kucing drink! I also wonder why the scientific names are so hard to pronounce! I had a hard time learning the names during my Biology class last time! LOL! merryn, a girl's hand? Maybe - I didn't say that was my hand! LOL! Why everyone keep asking me if there's any difference after I drank the tongkat ali? You all think it's a miracle drug? LOL! khengsiong, try out what? Haha! isley chang, felt the same - I think 1 measly cup of tongkat ali won't do much. Need repeated doses. LOL! ishmael, I cannot vouch whether it works or not - need more experimentation. LOL! But lots of people swear by it! happysurfer, so ordinary looking? What do you expect? You think it is supposed to be shaped like a male organ? LOL! No effect on me - probably because I only drank 1 cup - need to drink more and frequently for best results, I think. Haha! LOL... but honestly.. pitcher plants are scar... except for "weeping bell"
youknow who Weeping bell is??? i couldn't agree more about the scientific names..
bluedreamer27, weeping bell is a pokemon - yes I know! Haha! The tongkat Ali must be very bitter. 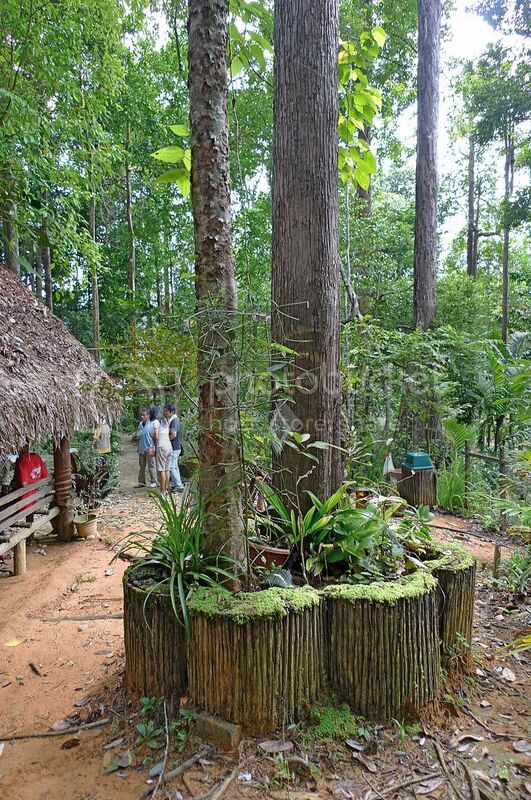 Wow nice sceneries..and many herbs..tongkat ali is also used here in the philippines as a supplement. 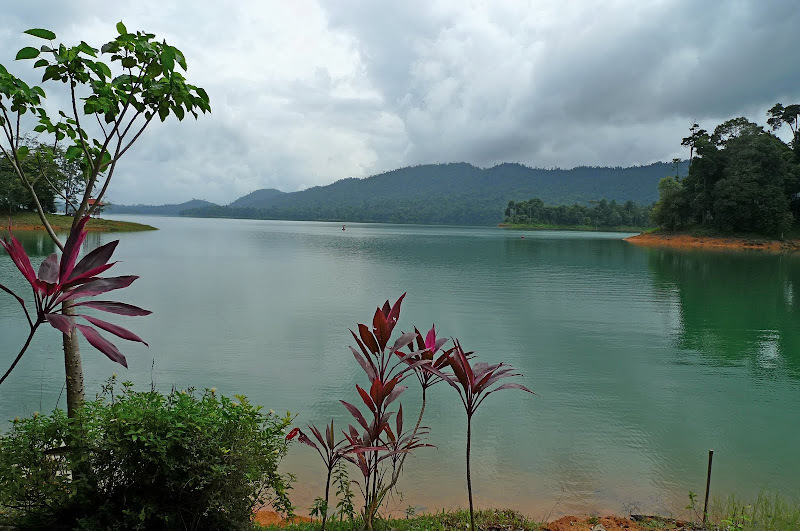 greenery lake, looks relaxing. 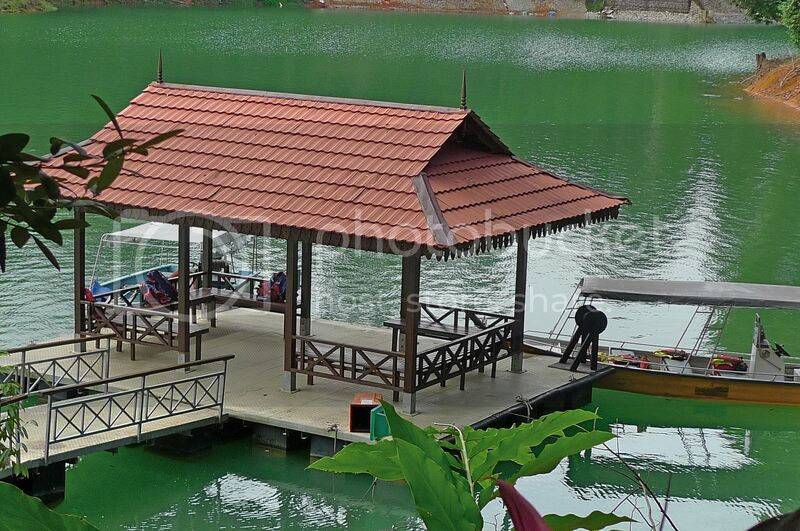 If can sip a tea and have a cake by the lake side, it would be perfect. 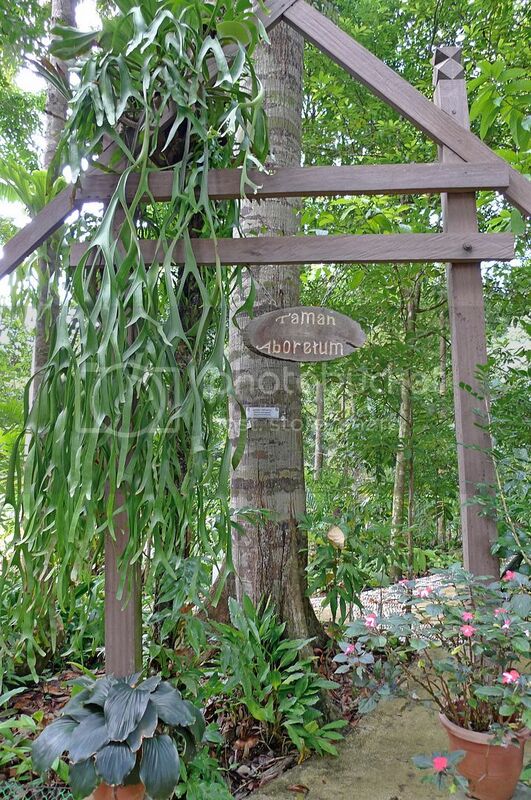 The herbal garden has a collection of numerous medicinal plants. The pitcher plant is a common insectivorous plant found in those areas. I hope you enjoyed a lot and gathered huge information from there. Bye.